So far, Alzheimer’s is a disease that has stumped the medical and pharmaceutical community. There are no drugs that can stop the progression of the disease completely… much less reverse it. But that hasn’t stopped scientists from looking for an answer, and researchers at the University of Southern California may have recently found it in two compounds that are easy to get in your everyday diet. The study, published in the Journal of Biological Chemistry, was performed on mice genetically engineered to develop Alzheimer’s. The researchers split the mice into four groups to test the effects of ECGC — or epigallocatechin-3-gallate — a key ingredient in green tea, and ferulic acid (FA) — found in carrots, tomatoes, rice, wheat and oats — on their symptoms. For three months, the mice were given either a combination of EGCG and FA, EGCG only, FA only or a placebo. The dose the scientists used was 30 mg per kilogram of body weight — a dosage that’s easily replicated in humans and can be consumed as part of a healthy, plant-based diet or as supplements. In other words, getting a daily dose of both ECGC and FA was enough to reverse the symptoms of Alzheimer’s. Terrence Town, a professor of physiology and neuroscience at the Keck School of Medicine of USC’s Zilkha Neurogenetic Institute and the senior author of the paper, points to the compounds’ ability to prevent the breakdown of proteins into those amyloid beta plaques that gum up Alzheimer patients’ brains. And they also appear to reduce inflammation and oxidative stress in the brain — both of which have been linked to the development of Alzheimer’s in humans. So, if you want to eat to reverse Alzheimer’s, add more of the foods with those two compounds — ECGC and FA — into your daily diet. Another simple change that can help is to take a supplement containing phosphatidylserine (PS for short). PS feeds your brain, rejuvenates your brain cells, boosts brain function and improves memory. 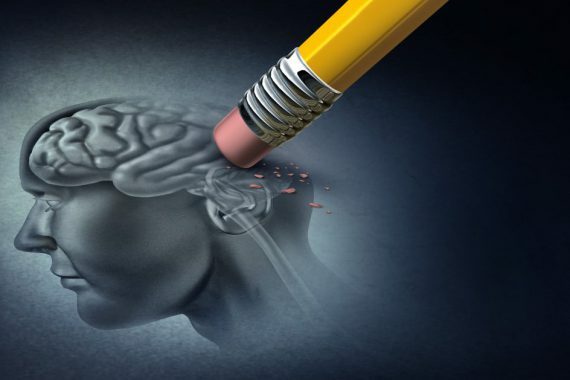 A multi-university study even found that people who took PS achieved a 30 percent improvement in cognitive function, including learning, memory and recalling numbers, names and faces. So, if you want a healthy brain and memory, make healthy changes to your diet. Drink green tea, eat more carrots, tomatoes and other foods rich in ferulic acid and take a daily supplement of phosphatidylserine.